The Dead Marshes and the chapter as a whole are a reminder of what came before. Little things like Gollum singing to himself, referencing his riddle game with Bilbo, to big things like the phantom bodies in the marshes themselves. We learn the name before we know the reasons, something that I believe is part of the growing threat that the journey faces. Samwise is quite pragmatic in considering the threat Gollum poses, but Frodo also knows that the promise made will hold for some time (or at least some time before Gollum acts to gain his Precious for himself). Sam's position is generally less than pleasant. He knows enough to trust Gollum's ernest warnings, but he also knows that Gollum poses a growing and unstable threat. He also has to deal with his best friend and ward slipping away under the weight of the Ring. In most ways, the success of their journey rests on him. There's also a certain fatalism to the chapter. The fact that they are unlikely to survive destroying the ring is the elephant in the room. "Are we ever likely to need bread again," is the closest acknowledgement, but the knowledge is there. They need to survive to see the Ring destroyed, no plans were ever even considered beyond that goal even when the Fellowship was whole. 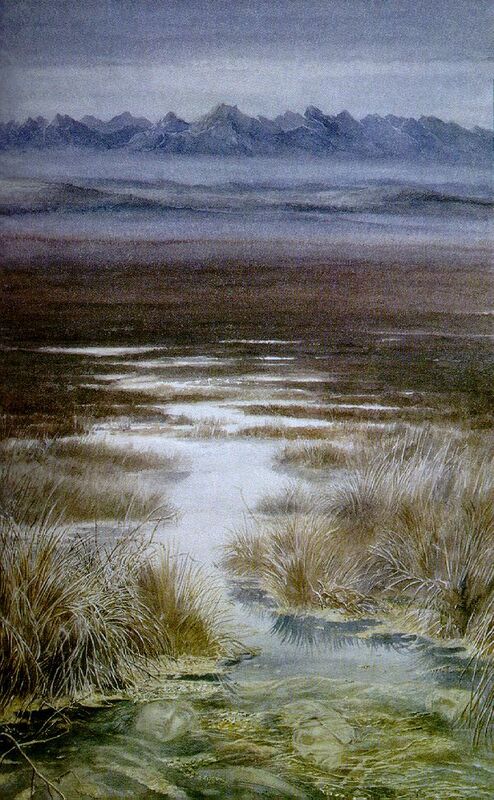 The Dead Marshes are altogether less subtle in the film than in the book. The dead are seen almost from the start, and these dead pose an actual threat to our hobbits. The dead visuals are quite striking but the marsh isn't particularly overwhelming (the fires just puzzle me). There's growth of dread in the setting, just "this is dangerous," Frodo falling into a dead man, and the surprising rescue by Gollum. Frodo... is generally useless this chapter, and Gollum is more useful than one would expect. It's a general exaggeration of what we see in the text, with truly very little time dedicated to their perils compared to the conflicts encountered by Aragorn & Co. Frodo's weakening is displayed in a slowing, a vulnerability to dark things, and a form of paralysis in the presence of the Riders. Meanwhile Gollum is, in part at least, rediscovering his humanity with Frodo's aid. I actually find Gollum's self-assured sharing of knowledge perhaps the creepiest thing of all here. He knows and has experienced things, and in moments of clarity has the intelligence to be a very dangerous and unexpected threat.